Even though I've been working on my own, running my freelance social media services & workshops for over a year- I've realized how little I've actually shared about my journey from the corporate fashion world to #girlboss! I'll try to share some of my honest insights, celebrations and frustrations as well as answer some of the questions I've received from you all. For the sake of complete transparency- there are good days & bad days, and ebbs & flows, but I'm so thankful I've had this opportunity to pursue my dreams and make them a reality. So, welcome to my new Blog to Biz series. If you have any questions feel free to reach out and I'll cover them in a future post! I figured there's no better place to start than the beginning so in today's post I'll share how I got started and took the plunge! 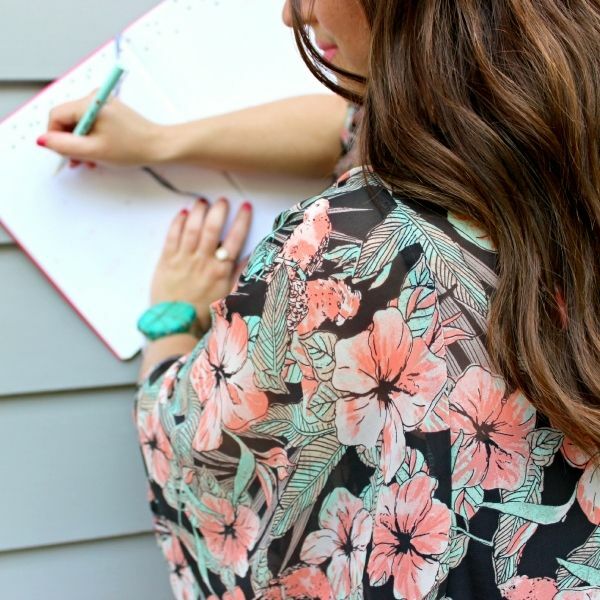 How did I go from fashion merchandising to social media? I think this is one of the things I get asked most often! I've always loved fashion, had dreams of opening my own boutique and never questioned for a second when I took a job in the corporate fashion world. Over time I began losing my joy for it - something I honestly never thought would happen, but I knew it was time to make a change. What boggles my mind is that when I was in college classes/majors in social media didn't even exist. What I didn't realize was that by writing and creating content at La Petite Fashionista since 2007 I was inadvertently becoming skilled in using all the social media platforms, analytics & understanding how to cultivate an audience. It was also something I loved doing and talking to people about. If you want to find a job you love, identify your "sweet spot" - where your passions and strengths intersect [tweet this]. Take a few minutes to write it down. What are you great at? What do people ask for you advice about? Equally as important- what do you love doing? No matter what industry you're in, if you take this approach can help ensure that you choose a path that you'll be happiest with. Does this mean there won't be roadblocks, frustrations or stress? Absolutely not, but if you're doing something you love - it's worth it. Was I terrified at leaving a career while I was only a few years out of college? Absolutely, but excitement and ambition outweighed any misgivings. What were the initial steps I took to starting my business? Before I took the plunge to leave the comfort of a salaried job I made social media my side hustle. I worked on special projects, speaking engagements and one on one consultations. 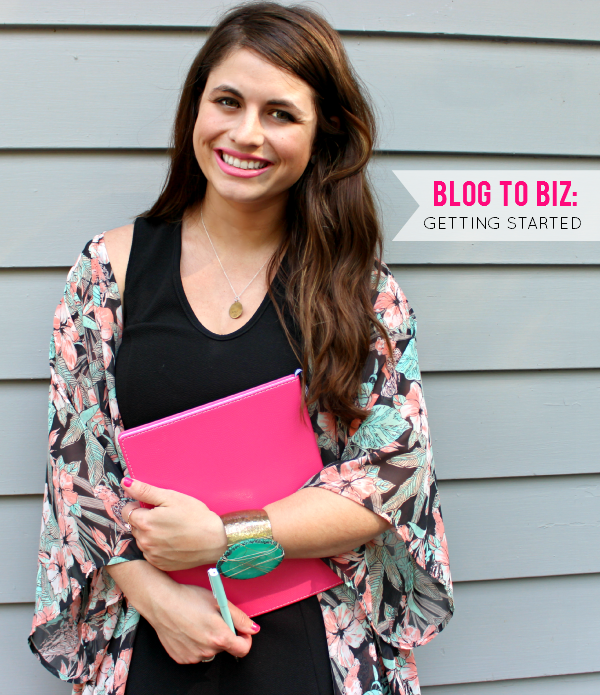 I worked on my blog and business at nights when I'd come home from work and weekends. Work-life balance was pretty nonexistent at that point, but it was enough for me to see that my idea was tangible. A few weekends before I put in notice at work my sister (a fellow entrepreneur and go getter) flew up to Wisconsin to come stay with me. We found a great deal at a local hotel and made it into a sort of business planning retreat. I brainstormed, vetted ideas with her as my sounding board and wrote my business plan. It was exactly what I needed - no distractions, time to focus and be creative. It's amazing how much you can do if you allow yourself the time, space, and energy to do it. As I mentioned, a business plan was one of the crucial things I did when I first started out. I used a few different references, but loved this outline for creative entrepreneurs from Amanda Genther. Writing a business plan forces you to think about the nitty gritty details right from the start. How much will your rates be/products cost? How would you define your target market? I also have a plethora of fun small businesses resources and tips on my #GirlBoss pinterest board! Follow Lauren @ La Petite Fashionista's board #GirlBoss: Entrepreneurship on Pinterest. If I can leave you with one piece of advice it's to start before you're ready. So often in life we wait for the perfect timing and everything to fall into place- but if you wait for that to happen you may miss out on some amazing opportunities. I'm always trying out new ways to connect with other small business owners and bloggers with my business. I also know how many questions there are and the endless google searches they can send you on. I wish I could just grab coffee & talk social media with all and I figure this is the next best thing! 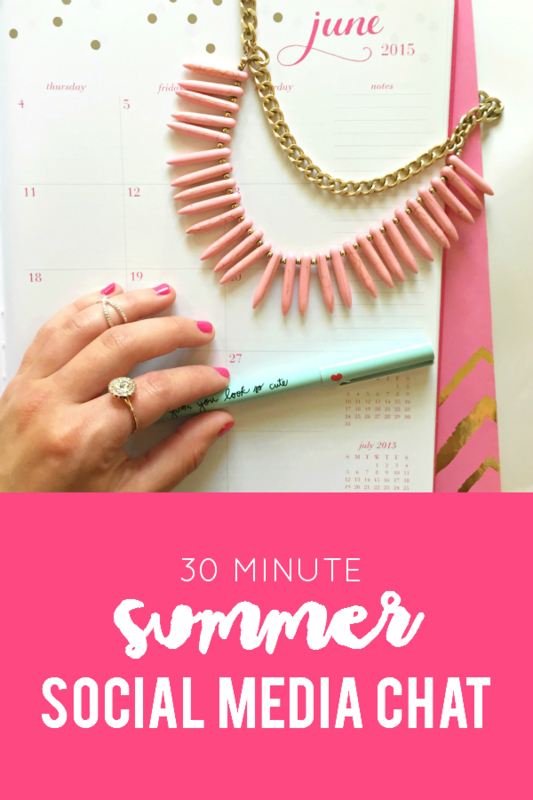 Over this summer I'm launching 30 minute summer social media chats. I'll start by asking for your pressing social media questions & give you the opportunity to ask anything! Whether you want to learn the ins & outs of promoted pins, want to set up a campaign with influencers, or want to hear my instagram secrets- I'm an open book! I'd be happy to share with you everything it's taken me the last 8 years to learn while running La Petite Fashionista! It's easy to set up a time with me- can't wait to chat! I've tried as affordable as possible because I know exactly how it is as a fellow entrepreneur! You can also save 10% (woo, happy dance!) till 6/3 using code "happysummer". What other small business topics would you like me to cover in the series? Feel free to leave a comment or tweet! I'm drooling over the idea of a weekend away to plan... I think I like to plan too much? Love the encouragement to start before you are ready! Pretty true in all of life... More fun to figure it out as you go. Wonderful tips as always! I find creating that time and space to focus purely on blogging is what I lack and self doubt like most. I absolutely love reading posts like this, Lauren! As someone who recently took that same leap, I really enjoy hearing the stories behind other girl bosses. Your motivation and dedication to your biz is so inspiring to me! Hi, everyone it has come to my knowledge how difficult it is to come across someone legit for this job, I basically think we don't need to face any lies and deceit from our spouse, long time I was fooled around but right now as far as I'm concerned about this job Wayne, (wjitservices@gmail.com) he's real. He saved me from the lies of my cheating fiancé, he deals on any type of hack such as gmail, Facebook, whatsapp, mobile phone,Skype, websites, upgrading scores, database, software testing, password sniffing, Cpanels, mystery shopper, SQL DB penetration, lease penetration and lots more, Mail him if you got any issue, he would definitely get it done. With quickest time frame. He's reliable and efficient, and my life has changed drastically since his assistance with my poor credit.